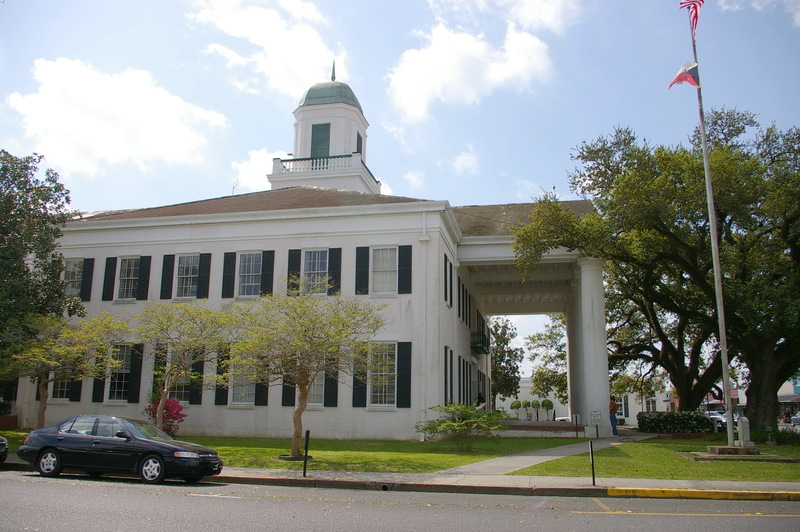 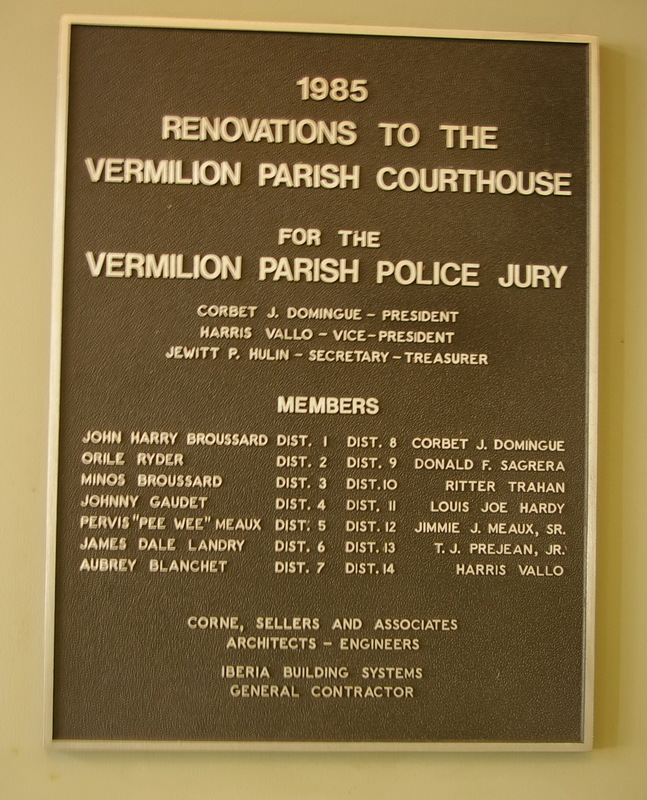 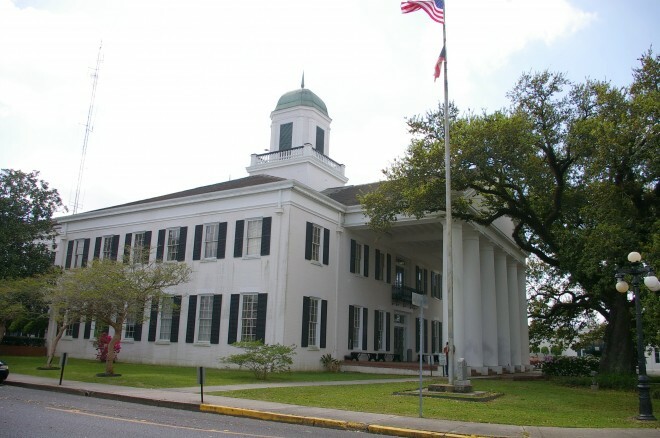 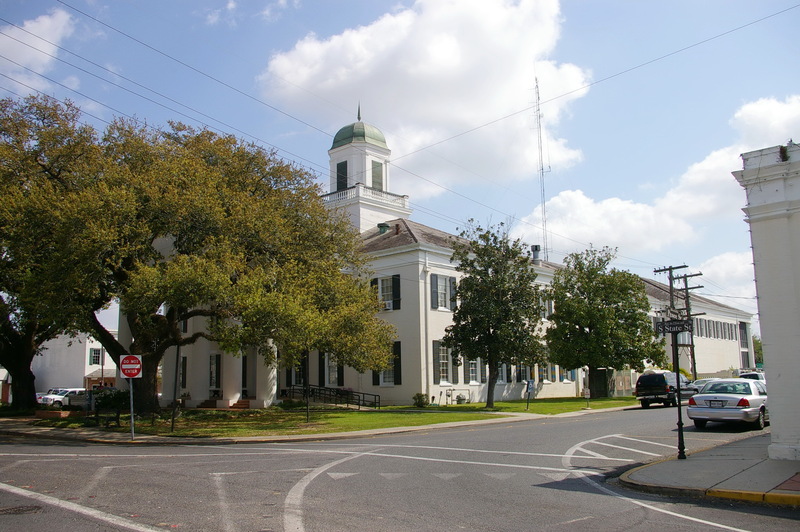 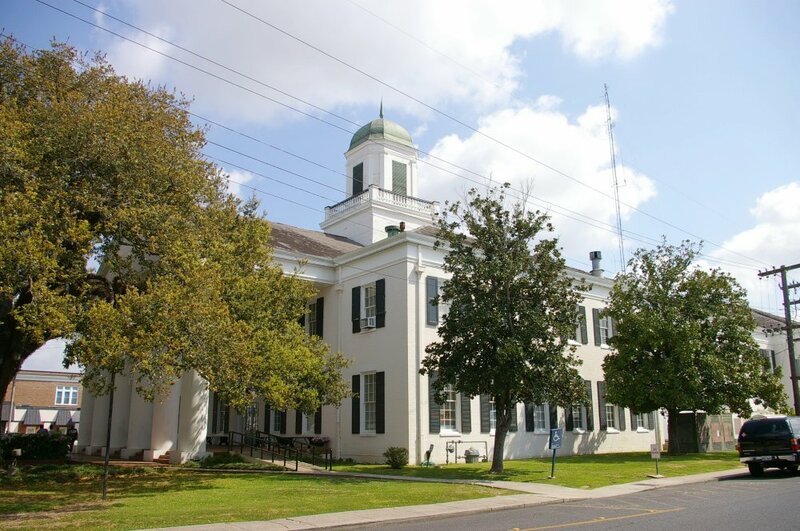 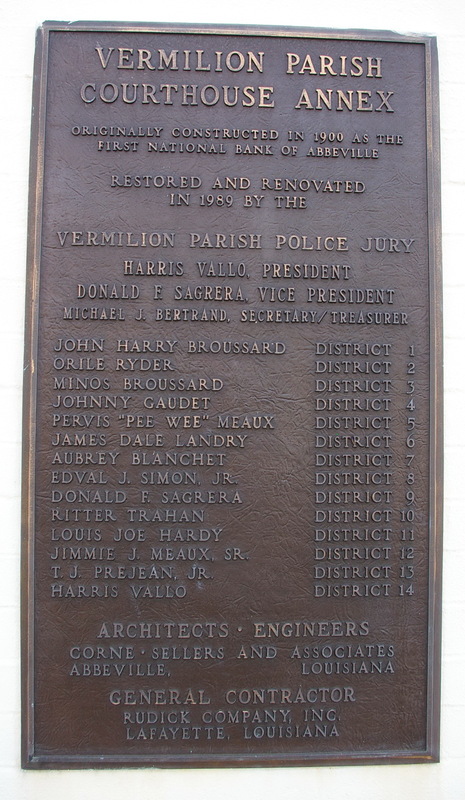 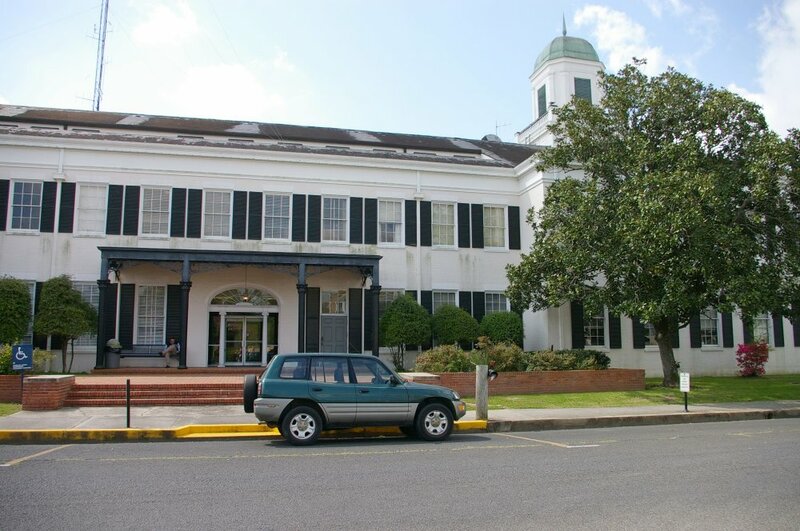 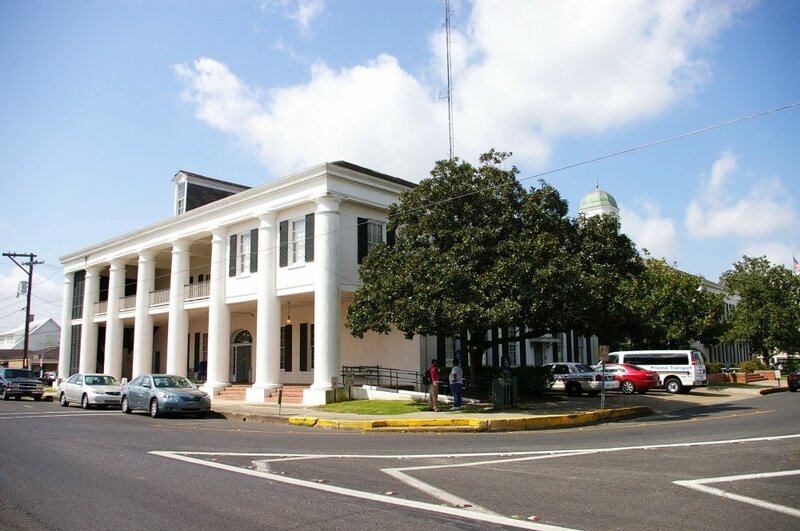 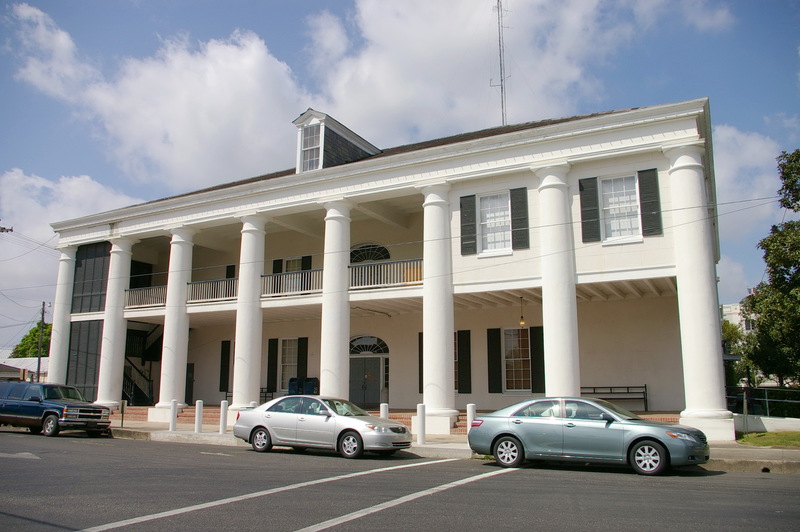 Vermilion Parish is named for the Vermilion River and Vermilion Bay, being inland waterways in the Parish. 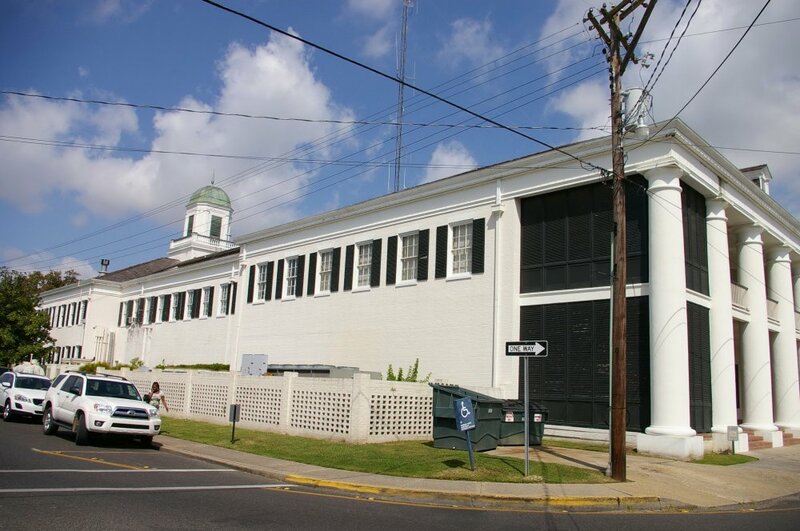 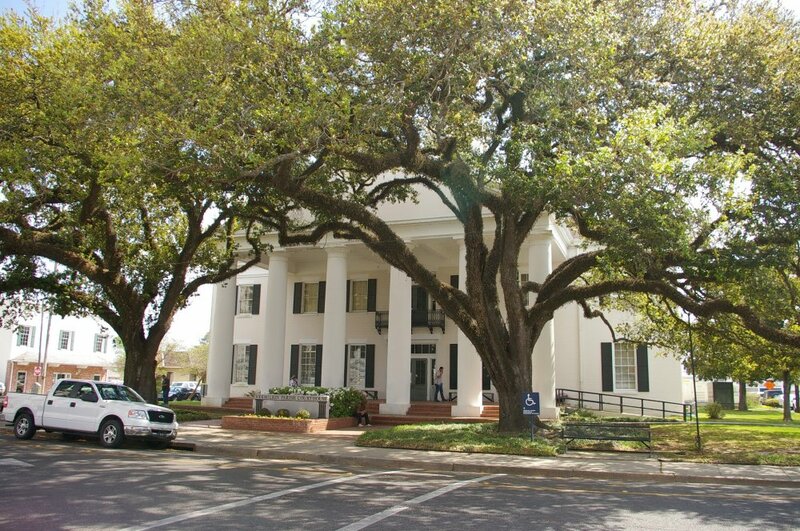 Description: The building faces west and is a two story white colored brick structure. 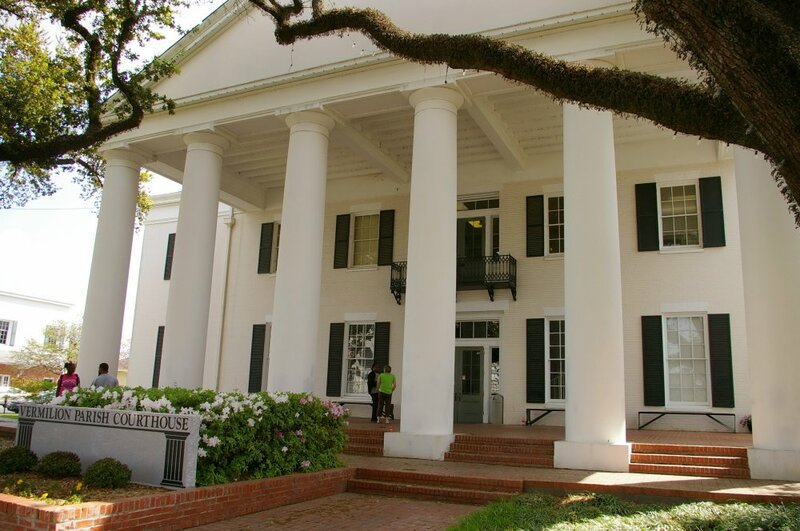 The west front has a large portico with six high columns supporting a pediment at the roof line. On the center of the roof is a square white colored wood cupola with green colored dome. 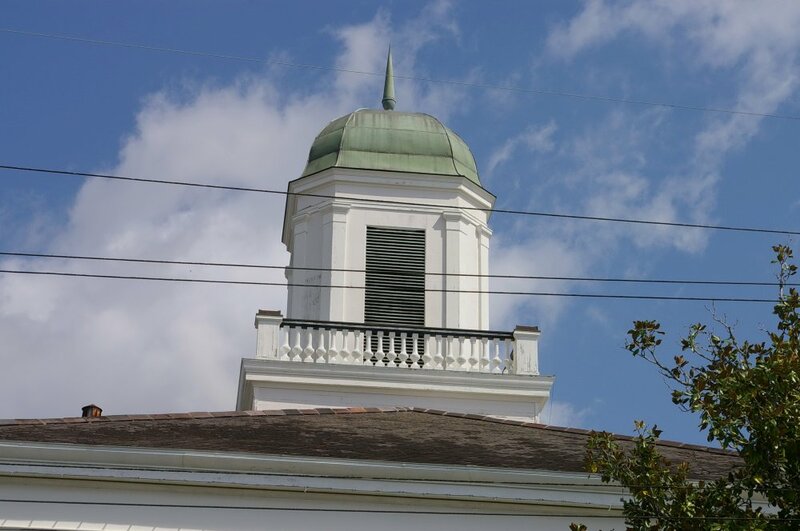 The building has a hipped roof. 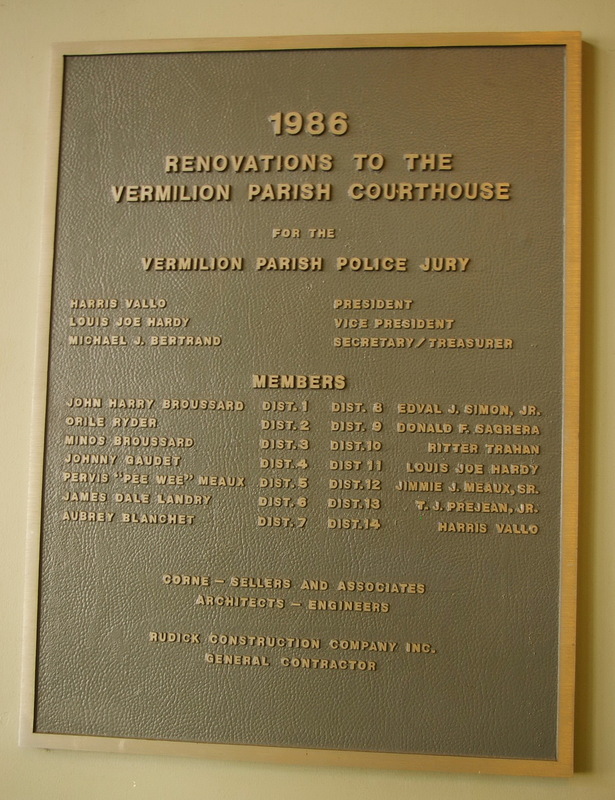 In 1985 the building was renovated. 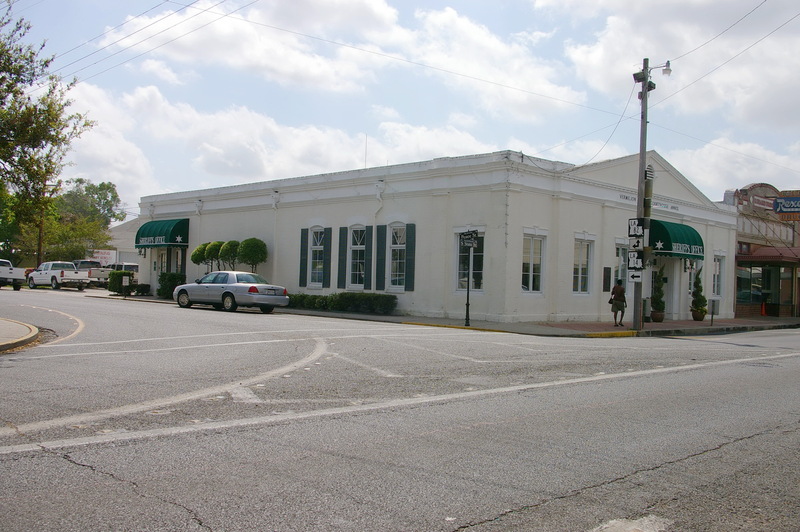 The architect was Corne, Sellers & Associates and the contractor was Iberia Building Systems. 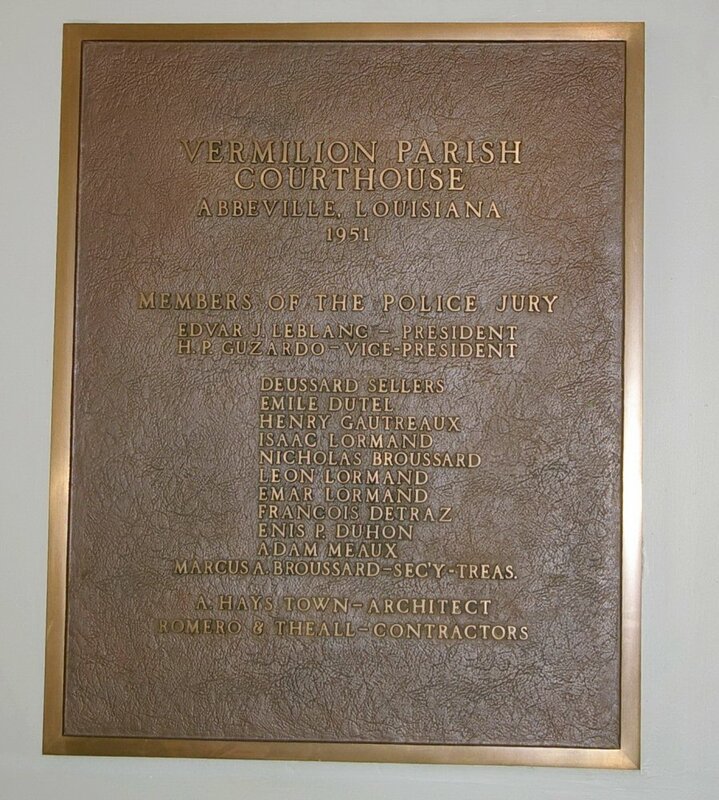 Note: The previous courthouse was designed by John Hannan and Bulfof and the contractor was C D Stewart & Douglas Southwell in 1891. 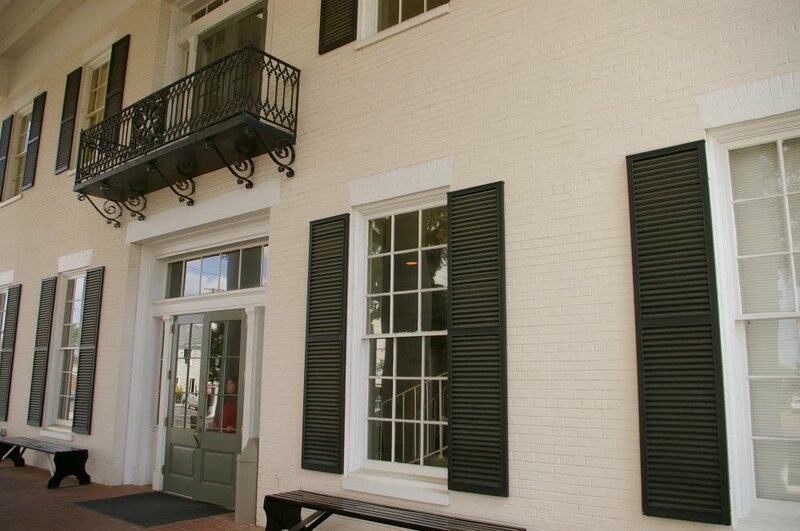 Contractor: Rudick Company Inc. of Lafayette. 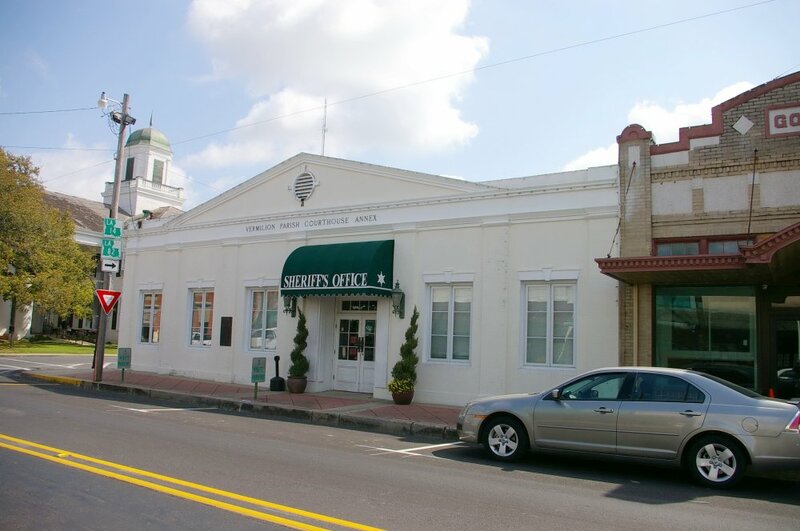 Description: The building faces west and is a one story white colored concrete structure.